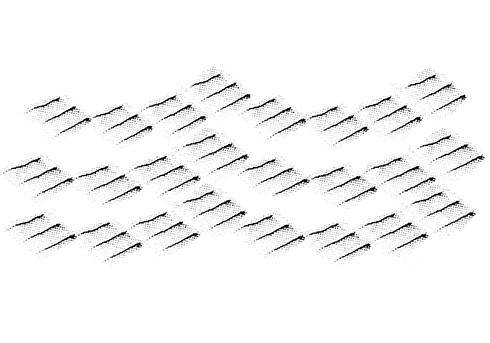 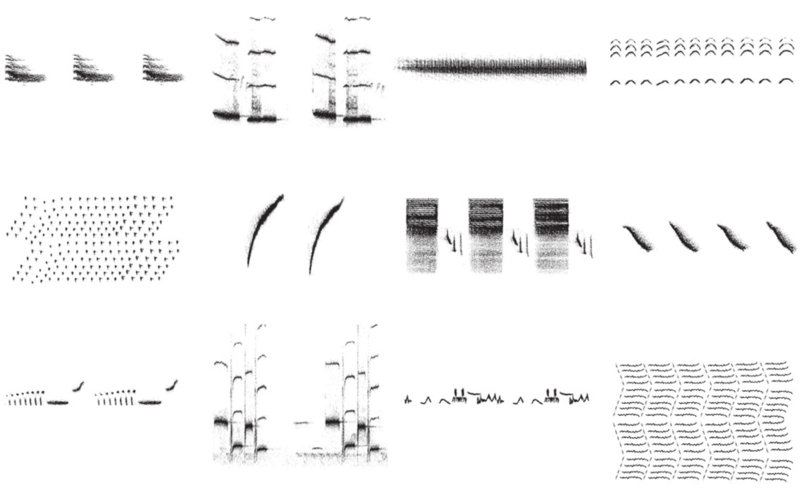 Bird Songs is a collection of birdcall spectrograms (and rearrangements). 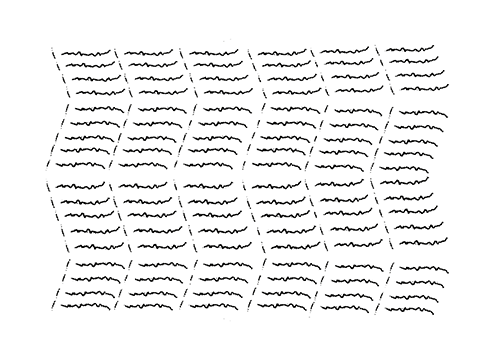 One can think of the print, as a visual sample bank of sound recordings. 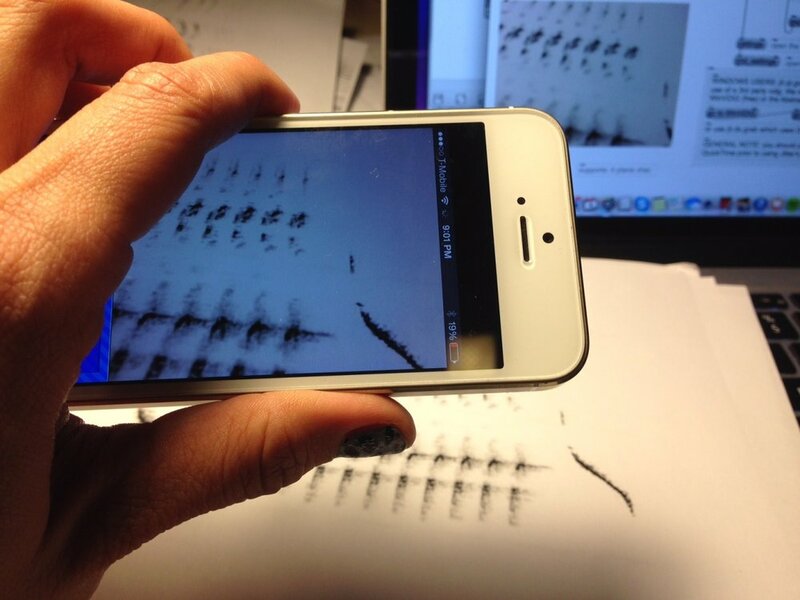 The iPhone application translates the spectrograms back into sound, by translating a spectrum of light to a spectrum of sound. 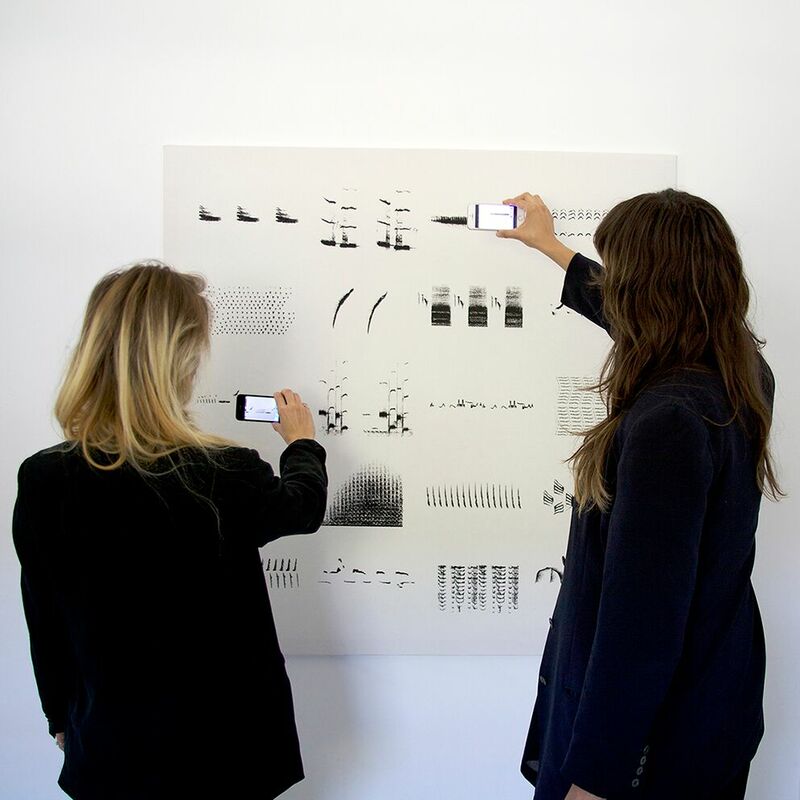 The viewers interact with the installation by moving the iPhone camera over the canvas and in this way the viewer can explore parameters of the sound such as pitch and speed - actions that makes the sound more or less recognizable as birdsongs.